Icelandair Cargo offers Boston Logan Airport as a new freight destination from Liege Airport by means of an extension of an existing flight. It ups the number of services to North America to 3 per week. 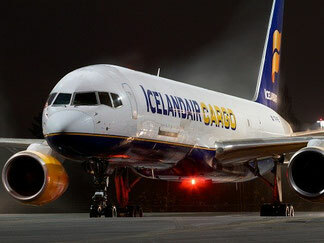 ´Icelandic cargo has served the Belgian airport for years with 6 weekly flights to Keflavik. Of these, 3 take the direct route, whereas 3 stop over at East Midlands Airport. From Keflavik the aircraft on both the Wednesday and Saturday return flight continues to New York JFK, giving the Liege-based cargo community access to the North-American market. Beginning 22 January, these services were complemented by a flight linking Keflavik with Boston.